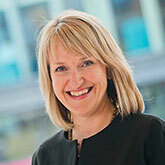 Lesley is calm, meticulous, has a head for figures and is universally respected within the profession. 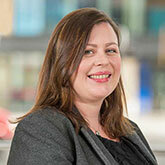 She is unflappable in a crisis and provides a real sense of security and wellbeing for her clients. Lesley is a mother to a young child as well as step-mum to young adults. She likes to keep fit, cycles to work and is part of the office lunch time run club. Lesley also has a creative side and enjoys dipping into the world of art where her husband is a renowned artist. 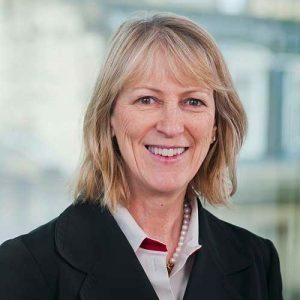 Lesley is treasurer and a member of the board of trustees of “Art in Healthcare” the leading provider of art and therapeutic workshops to hospitals and care homes in Scotland. Read more on Lesley’s professional biography. 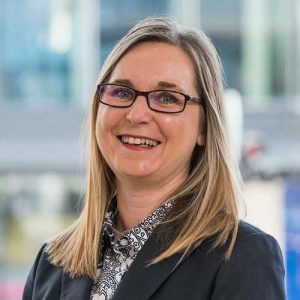 Denise is very approachable and praised by clients and peers for her emotional intelligence, warm manner and remaining calm throughout complex matters. She combines empathy with pragmatism and is respected for being able to devise creative solutions to problems. 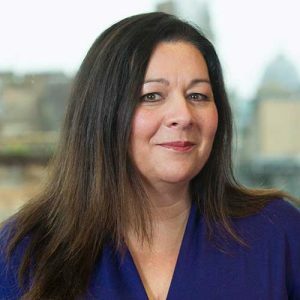 Denise started her legal career in London before moving to live and work in Scotland over 17 years ago. Married with two daughters Denise enjoys playing tennis, sailing and cycling in her spare time. Read more on Denise’s professional biography. Marjory is compassionate and softly spoken. She was born in Glasgow but grew up and was educated in Aberdeen. Marjory originally started out studying medicine but qualified as a lawyer. 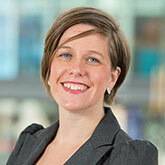 She has had a varied career, working in big firms and the Castlemilk law centre. She is known for her cheery, sunny disposition and is so committed to her clients that she is often to be found in the office on her days off. Marjory has two step daughters and step grandchildren, having gone through her own separation, divorce and remarriage. She has successfully created her own “blended” family and can empathise with what her clients are going through. Read more on Marjory’s professional biography. Debbie is a passionate family lawyer. She is pragmatic and sensible and seeks to resolve cases in the most appropriate method for a client and their individual circumstances. Debbie’s roots are in the west of Scotland. She gained considerable experience in both criminal and family law working in Dundee and has recently moved to practice in Edinburgh. Outside of work Debbie enjoys swimming, cycling and baking. Read more on Debbie’s professional biography. 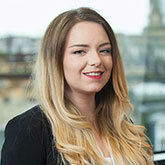 Sarah is a Senior Solicitor who joined the Family Law Team in May 2016 having worked as a solicitor for over nine years in Dumbartonshire and Stirling. She is experienced in all aspects of Family Law and advises clients across a broad range of matters including financial provision on divorce, cohabitant’s rights and has a particular interest in cases involving children. Sarah is married and is a mum to a 5 year old daughter who keeps her busy out of the office. Sarah is a bit of a foodie and enjoys cooking and baking in her spare time. Read more on Sarah’s professional biography. Beverley is experienced in dealing with all aspects of family law including financial provision on separation and divorce, cohabitation and cases relating to children. She has a particular knowledge and interest in the law surrounding assisted reproduction, being well known for her knowledge of the law of surrogacy and IVF in particular. In her spare time Beverley enjoys all things sporty and plays rugby for Greenock Wanderers. Read more on Beverley’s professional biography. Amanda ensures that the team runs like a perfectly oiled machine. She is the team administrator and is the most organised and efficient person we have come across. As well as organising us, Amanda also does legal work. In her spare time, Amanda enjoys trips abroad with her husband.